Today is hubby's birthday. 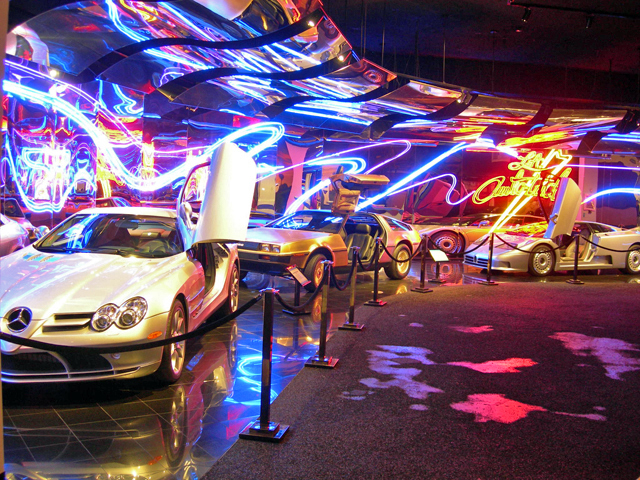 He wanted to go to the Petersen Automotive Museum, Mini Golf and eat In N Out Burgers. So that's what we did. I found a buy 1 get 1 free coupon for the Petersen Car Museum on a website, so we saved $8. Admission for kids 5-12 is $3 and kids under 5 are free. Hubby and my 4 year old daughter really enjoyed looking at all the cars. She wanted to take pictures of every single car there. I must have 100 pictures of her and those cars. It's a pretty big place with 3 levels, so we were there for at least a couple hours. The 3rd level is mainly targeted for kids where they have a couple cars you can go inside, coloring area and some car related science exhibits. 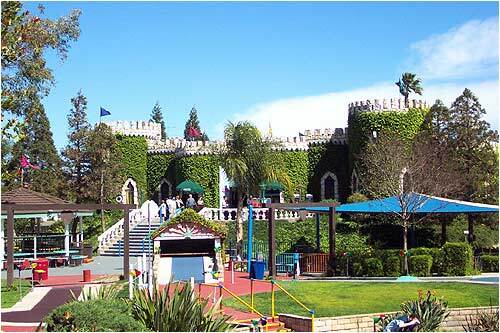 Afterward, we went miniature golfing at Castle Park. We never come here, so my youngest was not used to the "greens" here. I guess it was a little harder than where she's used to playing at Mountasia. She kept getting frustrated while playing cuz her ball didn't go as far or didn't go where she wanted it to. At last it was time for the In N Out Burger dinner. The girls don't like In N Out (how dare they), so we made a separate McDonald's run for them at ate dinner at home.